Dr. Gerzenshtein is a highly skilled cosmetic surgeon dedicated to helping all of his plastic surgery Tampa patients realize their dreams of radiant, youthful facial appearances. In order to turn back the hands of time, Dr. Gerzenshtein performs a variety of advanced facial procedures, such as brow lift, which is a procedure that can smooth the forehead and create a more rested, refreshed appearance. Please peruse the list of frequently asked questions below to learn more about forehead lift in Tampa and the remarkable results that can be achieved through this treatment. 1.) Are there any limitations after brow-pexy of brow lift surgery? It is not a good idea to drive a car or engage in activities that depend on your coordination for 48 hours after your brow lift surgery, or after taking any of the pain, nausea or insomnia medications prescribed. Walking and getting about is highly encouraged for multiple reasons, including a decrease in the incidence of clot formation in the veins of your legs. A companion should be with you for the first 24 hours to monitor and help you get about as necessary. It helps to apply refrigerated conforming gel masks over the forhead for the first 2 days after surgery to reduce swelling and discomfort. Ice should not be applied directly, and will be changed every 15-20 minutes to maintain cold temperature. If the gel pads are no longer useable, frozen vegetable packs, especially frozen peas, work well. A cold compress (damp from a thoroughly wrung out towel) may be substituted for gel or frozen packs if you find this more tolerable. On the third day after surgery, gel pads or frozen pack applications are stopped. While moving about in the first postoperative week, it is best to rotate your head and shoulders together, (rather than just turning your neck). When resting/sleeping, laying on your back with several pillows under your head and back, or placing a pillow or rolled blanket under the head of your mattress, will decrease swelling. 2.) I need a brow lift, but I don’t want one. Is there anything that can be done to help correct my brows, frown lines, and forehead wrinkles? Generally speaking, a severe amount of skin laxity in the forehead cannot be corrected as well with less invasive methods, as they may be with a full coronal brow-lift. Some of the treatments may help improve the situation, but as a rule of thumb, the more invasive the procedure, the more dramatic the result. Laser resurfacing, chemical peeling, botox, injectable fillers can all, to a variable degree achieve some improvement, but they should not be thought of as a substitute for a traditional brow lift. In fact, when combined with an upper facial rejuvenation, such techniques can dramatically improve the outcome of brow lift surgery. Beware of the quickfix fad procedures and “newer” modalities, and technologies that promise results to match, or even come remotely close to those obtained through surgical intervention. Often, the before and after pictures are of different quality, out of focus, taken from a different angle, etc. The best way to tell whether a set of pictures is legitimate is to compare the background, lighting, distance from camera, and quality of a zoom view. The majority of before and after photos are missing most of such details, and probably for a good reason. 3.) Am I the right age for a brow lift? Am I too young? Am I too old? Typically, there is no right age for browpexy. Brow Lifting can be classified as reconstructive, restorative, or cosmetic. Reconstructive brow lifting is typically performed as early as adolescence because it addresses either the total absence of facial musculature, as may be found in certain syndromes, or paralysis of the facial muscles, whether traumatic, or congenital. Restorative brow lifting is used to set back some of the changes brought about by aging. This is performed to restore natural eyebrow position, typically in conjunction with removal of excess upper eyelid skin. The creases or “crow’s feet” to the outside of the eyes are also addressed. It is called restorative browpexy because the plastic surgeon attempts to replace the skin back to it original position. Browpexy and blepharoplasty performed to restore a normal field of vision in a patient with acquired brow drooping is also a form of restorative browpexy, performed for functional rather than cosmetic reasons, with the fringe benefit of improvement in appearance. Patients may be candidates for this as early as their thirties. It all has to do with how severe the changes are, and what the patient desires. Typically, the massive weight loss patient will present at an earlier age, while most will present later in life. Minimal changes will likely be corrected with less invasive methods, whereas severe aesthetic disturbances may need a full coronal approach combined with other surgical and non-surgical modalities. Provided the patient is healthy, there is no upper age limit to browpexy or brow lift surgery. 4.) How can browpexy (brow lift) help me? 5.) How do I take care of drains left after my browpexy/brow lift surgery? 6.) Am I a good candidate for a brow lift? Age related changes in the face usually become apparent in the fourth decade of life. The degree to which a patient is affected has to do with multiple factors, the most likely of which are smoking, significant weight-loss, prolonged or intense sun exposure, and genetic predisposition. In fact, some patients would benefit from a brow lift as early as in their thirties. There are variations on a brow lift, with respect to depth of dissection, incision placement, and open versus endoscopic techniques that may be tailored to the individual patient’s needs, in terms of how aggressive the correction has to be to obtain a good result. The ideal candidate for a brow lift would have prominent crosswise forehead creases, furrowing, “bunny lines,” and”crow’s feet.” Apart from this, a good candidate would be emotionally secure, with appropriate reasons for desiring surgery, at a stable time in his or her life, and be in good health. 7.) What should I expect in consulting with a plastic surgeon? Dr. Gerzenshtein’s typical routine includes a thorough physical examination with particular attention to areas of concern. The patient is asked for the most important aspect of the concern, the full smile lines, the jowls, the sagging neck, etc. A global assessment is then formulated and presented to the patient. Dr. Gerzenshtein seeks to then marry his opinions with the patient’s dislikes to devise a mutually agreeable plan. A pre-operative sheet is then given to all prospective plastic surgical candidates. This is because in most circumstances, not satisfying the conditions presented in the pre-operative plastic surgery guidelines, such as discontinuing aspirin for at least two weeks prior to cosmetic surgery, will lead to a delay of procedure. Should the prospective aesthetic surgery patient decide to have cosmetic surgery, a pre-operative visit is scheduled. 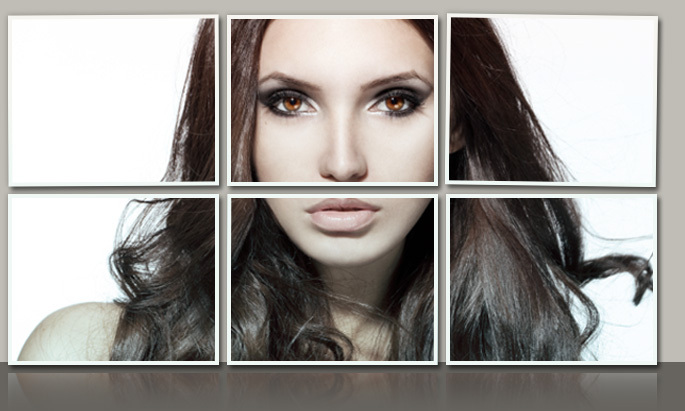 This is where the details of the particular aesthetic facial surgery treatment are reviewed. The visit includes either a complete physical examination, or review of a physical performed by the patient’s primary care physician, all to determine fitness for brow lift and/or blepharoplasty plastic surgery. Appropriate laboratory evaluations are ordered, or reviewed, as are any other pertinent studies. A complete discussion of all risks and complications associated with rhytidectomy or rhytidoplasty surgery are reviewed, pre-operative photographs are obtained. Finally, thorough postoperative instructions are given, along with prescriptions for after surgery. In this manner, a patient is thoroughly familiar with the particulars of the surgery, expected outcomes, and postoperative care after a brow lift. 8.) Will a brow lift address the crinkles between my brows, or the lines on my forehead? Facial rejuvenation surgery will address loose skin most effectively. Wrinkles or rhytids that form secondary to this skin excess will no doubt be taken up by excising this extra skin caused by gravity and aging, and tightening the remaining skin. Small creases around the mouth will need a form of skin resurfacing to fix effectively. This may be in the form of carbon dioxide laser, erbium laser, trichloroacetic acid (TCA) peel, phenol peel, Blue Peel ™. Either an endoscopic forehead or brow lift, or an open forehead or brow lift include the division and partial removal of the corrugators, depressor, and procerus muscles. Muscles that are responsible for the furrowing between the brows and just above them whilst frowning. Repositioning, or excising the forehead skin will address the forehead lines. So the short answer is that a brow lift can take care of most, but not all wrinkles, folds. Any residual lines, crinkles, and creases will be handled effectively via skin resurfacing modalities. 9.) What are some things to watch for after a brow lift? 10.) Application of endoscopic techniques in aesthetic plastic surgery? It is common in this day and age to use dilute local anesthetic before making an incision. This type of pre-emptive anesthesia reduces post-brow lift discomfort immensely. In general it takes several hours for the effects of the local to wear off. Soreness improves over several days following brow lift surgery, and is very well controlled with oral pain medication. 11.) Is there anything available to reduce swelling and bruising after browpexy? 12.) What are the different brow-pexy (brow-lift) procedures? 13.) How can I make myself more presentable in public after brow lift surgery? There are two temporary effects of brow lifting and/or face lifting that patients find bothersome to manage; healing incisions, and bruising/swelling. Although it is possible to apply make-up as early as two to three days after browpexy, it is probably not very useful. Doing this would camouflage bruising. The swelling and the incisions would not be addressed. This is because incision lines should not be covered while sutures are still in, or in the case of absorbable suture, for the first 7-10 days. Because of this, it would make little sense to use cover-up early, as bruising and swelling may be covered, but healing incisions will not. So the bottom line is that realistically, a brow lift or face lift patient should not expect to look presentable until seven to ten days after surgery. After one week, any of the commercially available camouflage packages may be used to conceal the early effects of face lift or brow lift surgery. Aestheticians working alongside a plastic surgeon may demonstrate the appropriate techniques for getting the most out of the cover-up makeup in masking the consequences of rhytidectomy or brow lift surgery. The basics of appropriate camouflaging include concealing, color correcting, and contouring may be found below. 14.) What is the Customary, Standard, or Traditional Brow Lift or Browpexy? 15.) What is a browpexy or brow lift? 16.) I have had a brow lift and I am not satisfied with the results. Is there anything that may be done to improve my browpexy outcome? Unsatisfactory results may be divided into two categories, true surgical complications, and incongruence between patient expectations and achieved results. Depending on the severity of a true complication, it may or may not be significantly improved via further surgery. Improper re-draping, inadequate tightening, poorly placed scars, and prominent scars may all be improved by revision browpexy. You should discuss your dissatisfaction with your surgeon to see if he or she feels that the situation may be helped, prior to seeking the advice and intervention of Dr. Gerzenshtein. 17.) What is the Endoscopic Brow Lift? 18.) What is the Endotine Brow Lift? 19.) What is the Trans-Blepharoplasty or TransBleph Brow Lift using the ENDOTINE® Device? 20.) Is there a difference between patients of varying ethnic heritage with respect to choice of procedure or outcome? 21.) When do I call Dr. Gerzenshtein? 22.) How do I care for my brow lift incisions? 23.) Is a brow lift ever covered by health or medical insurance? 24.) Do I need laser resurfacing (CO2 or erbium laser) chemical peeling (TCA or phenol, or blue peel), along with browpexy (brow lift) or as an alternative? 25.) How long do the results of a brow-pexy hold up? Is one type of brow lift better than another? 26.) What is the Lateral Brow Lift or Temporal Lift? 27.) What is the immediate post-brow lift recovery like? How about long term post browpexy recovery? 28.) What is the Mitek Tac-it® Brow Lift? 29.) What medications are typically prescribed after a brow lift operation? 30.) What can I do to prepare for browpexy (brow-lift)? If you are not a local resident, you should plan to arrive at least a day prior to the procedure to familiarize yourself with your temporary habitat. You will need to remain here, whether at a local hotel, or with a relative or friend for approximately one week after surgery. You will also need to notify the office of your planned residence. If a resurfacing procedure is planned along with face or brow-lifting for total facial rejuvenation, you will need to pre-treat for approximately six weeks before surgery. Our aestheticians will help with this. Of course all prohibited medications must be stopped at least 2 weeks prior to surgery. Make sure there is someone who can help you get about for the first several days after surgery as swelling and discomfort may limit your ability to do so. Preparing meals in advance, having someone cook for you, or planning to order out are all things to consider and have arranged prior to surgery. Ice packs should be stocked to last for 48 hours. A less expensive alternative may be frozen vegetable packs. 31.) What is the typical price for a browpexy or brow lift? How invasive is the brow lift, or how long will it take? 32.) What is recovery like after a brow lift? Depending on the type of brow lift performed, recovery can last from as little as several days to as long as three to four weeks. Assuming the most invasive form of brow lift was carried out; the sequence would include a possible overnight stay. In either instance, assuming an uncomplicated course, immediate recovery from anesthesia takes from one half to a full hour. Patients go may go to a private suite prior to discharge, or when staying overnight, to an appropriate room. Drains would likely be present, and be removed the following day. Swelling is worst at 48-72 hours, and should gradually subside thereafter. Sleeping with the head elevated on several pillows will do much to aid in drainage and diminish facial puffiness. Pain begins to improve significantly after 3-4 days. Oral pain medication will do a lot to alleviate most of the discomfort. Numbness about the central forehead does not affect the majority of patients, but it is not rare. Numbness behind the hairline incision in the case of open or coronal brow lifting is a drawback to this type of procedure. This is why endoscopic brow lifting is preferred to the coronal approach. If loss of sensation is present, parenthesis may take from six to twelve months to resolve. Bruising is normal, and may change color over days. Uneven swelling and bruising are not normal, and may signal a bleeding problem, early on, and infection later in the course. Both of which are not very common. In any case, notifying Dr. Gerzenshtein as soon as possible is essential to a good outcome. Other findings that may merit the same action are loose sutures, cloudy drainage, fever, or redness. Visible sutures are removed within 5-7 days. Sutures or staples behind the hairline and ears are left in for 10-14 days. Make-up may be applied after one week. Light exercise may begin 7-10 days after surgery, while more strenuous activity should wait until after one month has passed. 33.) Is it ok to smoke before browpexy, brow lift, or upper eyelid surgery? 34.) What are the some of the risks and complications of brow lift surgery? 35.) When is brow lifting unsafe? 36.) How do I wash and/or cleanse my brow lift incisions? 37.) I am in the process of losing weight, should I wait to undergo eyelid or brow lift surgery procedures? The short answer is yes, especially if you are well away from your target weight. Losing significant amounts of weight after a skin-tightening may cause recurrence of sagging. If you are very close to target weight, you should probably wait until you’ve reached it, since disruption in your exercise/diet routine caused by brow lift and/or face lift surgery and the subsequent recovery may set you back a bit. If you are having the operation performed for functional reasons (partial loss of visual fields), it will be a matter of what bothers you more. To help brow lift Tampa patients further enhance their facial beauty, Dr. Gerzenshtein offers several other procedures. He is renowned as a highly talented face lift Tampa surgeon, and he also specializes in the intricate rhinoplasty, otoplasty and eyelid surgery procedures. Please explore the respective pages to learn more about these and other treatments offered by Dr. Gerzenshtein.